Invisalign aligners are clear, making Invisalign a seamless fit with your lifestyle and day-to-day interactions with others. 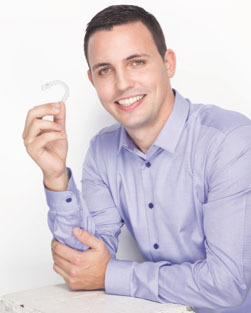 Invisalign aligners are also removable. Unlike braces, you have the flexibility to eat and drink what you want during treatment simply by removing the aligners when you eat. You can also remove the aligners to brush and floss as you normally would for fresh breath and good oral hygiene. Unlike traditional metal braces, Invisalign treatment does not use metal brackets or wires that could cause irritation to your mouth. In addition, you'll spend less time in the doctor's chair and scheduling appointments, and more time out doing the things you love. Lastly, Invisalign's technology allows you to view your virtual results and treatment plan before you start your treatment, so that you can preview how your straight teeth will look once your treatment is complete.